North Food włączył się w pomoc potrzebującym! 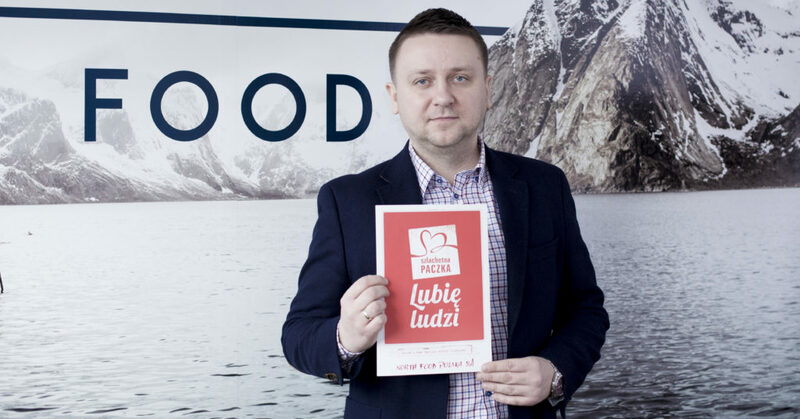 | North Food Polska S.A.
North Food Polska S.A. has once again shown how eager it is to get involved with charitable events, joining the nationwide Noble Box campaign. This time the organisation’s employees chose two families in difficult material circumstances. The company helped the family of Aneta and Marek, who are bringing up three children, and Leokadia, who lives in difficult conditions with her son. “This is now the third edition of the Noble Box that we’ve managed to organise. The generosity and commitment of our colleagues at North Food exceeded our wildest expectations, so much so that this year we decided to provide help to two families,” – says Zbigniew Bąk, Supervisor of the Noble Box Project at North Food Polska. A collection was held for the items the families are most in need of – food, sanitary items, clothes, toys and school accessories. The employees also organised an auction, and the money raised from the sale of items was given to the families to allow them to renovate their homes. “The auction wasn’t about beating records, but about helping people in need. We’re glad, though, that year by year there’s more and more mobilisation, fun and energy at the auction, and of course this also brings our whole team closer together,” – adds Zbigniew Bąk. North Food also received support in realising the Noble Box project from the Fabryka Marzeń (Dream Factory) Foundation, the bathroom company Komfort Łazienki, and employees of Columbus Pro, who provided vital and valuable items for the families. “We’re happy that the enthusiasm of our company’s workers brought other friendly companies into the Noble Box. Together we held out a helping hand to the needy, and we hope that this will mean more than just financial support, showing the recipients that they matter, and that someone remembers about them,” – says Joanna Mazur, the Board’s Office Services Specialist. North Food Polska S.A. is a dynamically developing organisation which runs a chain of restaurants. The company was founded by Michał Sołowow in 2002. North Food currently manages 41 restaurants in the Quick Service Restaurants and Casual Dining Restaurants segments, in two formats: North Fish and JOHN BURG.